Here’s a great drill for finding meaning using context clues, but it also works on expanding vocabulary by having the student write the unfamiliar word. 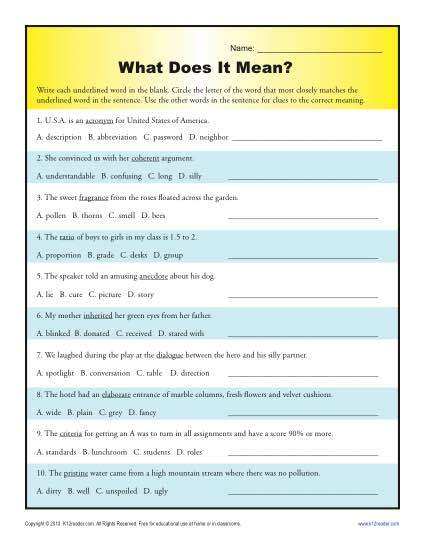 It follows Common Core Standards for Language for grades 6th through 8th. Other students may also find it helpful.